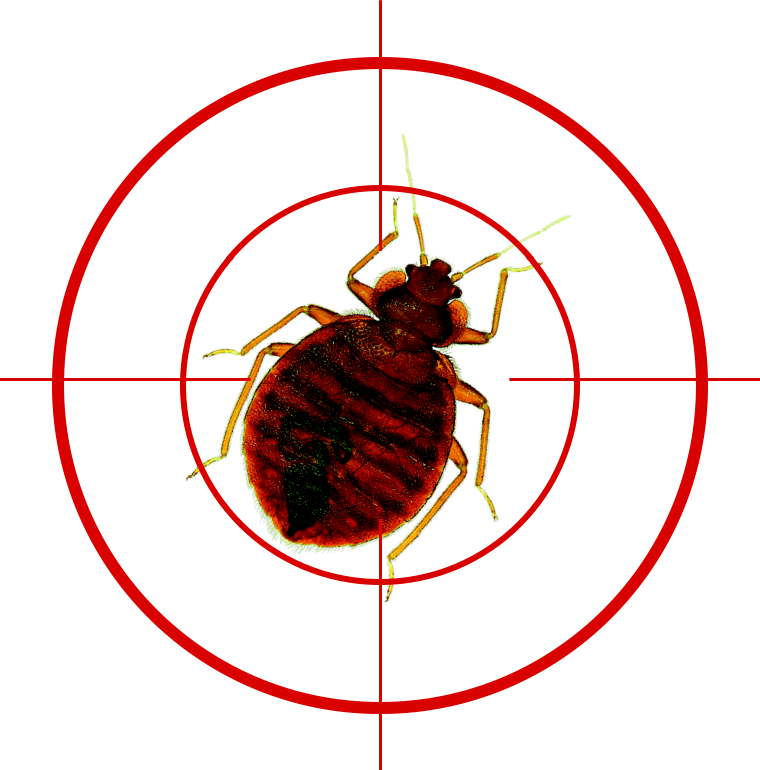 When at the start of this millennium the bed bug heat treatment technologies we see today were invented, we had little idea how widely they would be used and the impact for good it would have on the pest control world. Widespread and irresponsible pesticide use has had a massive impact on the environment and on the personal health of those exposed to this miss-use. Just as with bacterial resistance to antibiotics, insects have become resistant to many pesticides. And in the public health sphere, none more so than bed bugs. Even before the resistance issues raised their head, it was clear that heat treatment of bed bugs in bed frames and mattresses and in furniture had to be better than just using toxic insecticides. Insects, just like us, are made up of proteins. Even enzymes are proteins and the nature of that protein and its place and function in the body is determined by its DNA. When a cell is heated up to around 45C or more, that DNA starts to break down and so the cell ceases to function as it should. It’s a physical process as damaging as being hit on the head with a mallet! In laboratory studies you will see all sorts of claims for percentage kill rates of various species of insect for various times and temperatures. But what we have done with our guidelines is take an overkill target of 50C for 2 hours or 52C for 1 hour ON THE INSECT and not just in the room or environment being treated. That is, reaching such temperatures in the COLDEST parts of the treatment area. And herein lies the core of all issues relating to heat treatment efficacy. Where is the cold spot? There are documented cases of unscrupulous heat treatment suppliers simply measuring general air temperature. This is totally wrong and has zero relevance to killing the insects and their eggs, which will typically be ‘under cover’ and in insulated areas. The other main point to stress and for companies offering heat treatment to understand, is that the energy required to heat something up is formula. It’s a function of the object’s mass, multiplied by the specific heat capacity of the material to be heated up, times the change in temperature required. This is very important when it comes to the debate as to whether to try to heat up an entire building or room, or just the contents of that room where bed bugs are typically concentrated. There is a vast difference in energy requirements, type of equipment (and price) between the two techniques. If someone is charging very little to heat up an entire room, you need to be BEWARE! It’s likely to be a con which simply won’t work, and you may get into the realms of multiple re-treatment despite thinking you have booked the best approach. Whole room, caravan and building treatments are expensive processes and need to be done in the hands of specialists with the required skillset, training and equipment. Their job is not just to kill the infestation, but also to protect the property and the belongings inside. The energy is required because you have to heat up floors, walls and ceilings with masses that may total tonnes of material with a high specific heat capacity, as opposed to beds and furniture that may weigh less than 100Kg. In order to supply this energy, you need big, powerful heaters that cannot be simply powered off the mains. And if you are thinking of booking heat treatment, the equipment being used is definitely something to ask about, simply because there are certainly companies using equipment that is not fit for purpose. Even for small jobs, a reputable heat treatment firm like British Bug Control (Cimexine) will use 25kW heat exchange diesel convection heaters. With diesel heaters the energy for heating comes from the burning of diesel, with the electric powered fan blowing that heat to where it’s needed. Whole rooms and buildings can be heated up either by using Diesel Hydronic systems using radiators and glycol pipes, OR they can use powerful diesel convection heaters; or they can use a number of 3 phase 415v 18kW electric heaters. We can’t stress enough that any company that uses any kind of heater or fan that plugs into a wall socket (where the maximum power output is just 3kw) is likely to not know what they are doing. You could leave your hair dryer on and apply similar amounts of energy to your room!! There are pest control firms out there claiming to offer full heat treatment and using such equipment, so be warned. Never ever go with a company offering any form of direct burn propane gas heaters either. Whenever you read about buildings being burned down during bed bug treatments, it is when gas heaters are used. Also be wary of any company that claims to offer heat treatment and turns out to be using steam. A key part of the way bed bugs are killed in a properly carried out heat treatment is by being DRIED OUT / DE-HYDRATED. When you burn gas, you put water into the room or building, so that’s not going to work. And it’s the same with steam-applied heat, which clearly isn’t going to dry anything out. Plus, as well as helping the bed bugs and eggs survive, when you combine water and heat you can potentially can cause horrendous damage. Whole building treatments carry a much increased risk of damage compared to spot treatments, often due to either drying out or hot humidification. Excessive drying can occur using convection heaters with no re-circulation. Hot humidification occurs when water is evaporated by hydronic systems with re-circulation. The “safe” balance is all part of the absolute minimum requirement of three days’ training recommended by the BPCA for all heat treatment operatives. This basic training is a bit like a driving test. You are not necessarily experienced or even a competent driver when you pass the test. It’s just the assessor thinks you won’t do anything totally stupid. If people haven’t had heat treatment training they are very likely to do something incredibly stupid. Here at Cimexine will not let anyone loose on our heat treatment equipment without a minimum of three days training for bed bug heat treatment, and five days for the wider range of heat treatment applications. Here are a few pointers that anyone purchasing a heat treatment service should consider…. 1) If it’s cheap – it’s probably too good to be true. That’s a general rule for life as well! 2) Proper heat treatment equipment and training costs money. Expect your contractor to recoup some of this investment in its pricing of jobs. If the contractor has spent £100 on a domestic heater from B&Q that plugs into the mains, you are likely to be wasting your money. 3) Absolutely the contractor should be a member of the BPCA (British Pest Control Association). The BPCA will not endorse or put up with “rogue trader” or unprofessional practices from its members. You can easily check by calling the BPCA on 01332 294288.We are full BPCA members. 4) Some companies pay huge sums of money to get their name to the top of Google and other search engine results. Not a sin in itself, but don’t necessarily believe either Google position or online ratings and reviews. Spending thousands of pounds a month on Google Adwords is all you need to get you to the top of page 1. And any employee can write a testimonial or give that company a 5* rating. Talk to the BPCA or a known reputable and trustworthy company for honest advice. 5) Heat treatment is a new practice and currently unregulated as done correctly it is inherently safe. That means anybody can theoretically buy a heater and call himself a “heat treatment specialist” just as anybody can buy a ladder and call himself a roofer. BEWARE! 6) The BPCA is aware of suspect services being offered by either genuinely ignorant operators or through practices of deception in the industry, and is working on a Code of Practice for Heat Treatment to be followed by all member heat treatment operators. A press release will follow when this task is completed. 7) Steam treatments are not ‘heat treatments’. They add moisture to the air. One of the key ways proper heat treatment works is by drying out the hot air which helps kill the insects, nymphs and eggs by denaturizing the proteins they need to survive. Clearly steaming doesn’t dry the air out. i) A full and in depth telephone appraisal of the situation, infestation and property involved including how long it’s been going on for and a discussion of other treatment options. ii) A detailed preparation checklist of things the customer must do prior to the treatment. This should be covered in the consultation, and emailed. iii) Unless on the smallest of jobs the team should comprise two trained operatives, simply because proper equipment is not easily handled by one man. iv) On arrival the technicians should conduct a detailed survey not only of the infested room(s) but also of adjacent or linking areas to establish the spread of the infestation and possibly the source. iv) Heat treatment services should usually include complementary techniques such as physical removal methods (harvesting), the application of safe insecticidal sprays with strong residual qualities and the use of dusts. vi) The client must do their part. Heat will not penetrate piles of junk and clothing. These must be cleared and clothing washed or tumble dried at 60C or more. Risk items must be identified then removed or protected. All of these should be covered in the preparation document to be signed prior to treatment taking place. vii) The pest control operators should be specialists or at least experienced in bed bug control. Again, check that they are members of the BPCA. viii) The company should, if requested be able to provide a fully temperature report illustrating the temperatures reached and maintained by the remote sensors which measure the temperature in the hardest to heat parts of the room. The report should also provide any recommendations going forward. 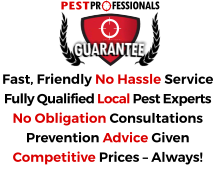 Remember – nobody can guarantee 100% pest elimination. We all strive for 100% control and with the right co-operation from our clients that goal can be achieved. When things go wrong or don’t work first time, it’s how issues are resolved that separates the men from the boys, the good companies from those out to make a fast buck. Problems should be viewed as opportunities to shine, not awkward customers to be ignored. The BPCA is grateful to members of the public who highlight unsatisfactory, poor or simply illegal practices and will take action against offenders, including being asked to leave the organization. So always check the current list of members on www.bpca.org .